Song River: Thank you Jennifer for taking some time to chat with us at Vent's Magazine today. I can imagine recounting what occurred has to be hard. Jennifer Dwinell: The first time I would say was the hardest to talk about it. Even the movie that has now come out about the Cokeville incident, I thought about it long and hard about even going to the movie. It's not something that my family talked about after it happened, nor while I was growing up. I never really even have talked about it with my own children as an adult. It has just been something that we all don't talk about that much. So, going to the screening and having people ask me questions about it, has opened me up to realizing I have been blessed, and why shouldn't I open up and share this story with others? It has helped me heal, and it may help others by sharing. So, as time goes on its getting a little easier to talk about it, knowing there is a possibility of helping other people. SR: You were there that day? JD: Yes, I was a first grader then. Actually it was our classroom that was taken hostage. SR: Take us back to that day Jennifer. JD: I was a first grader, it was just after lunch and my teacher was telling us the story of, “The Three Little Bears.” The principal of our school walked into our room with a man, he had a metal cart with a bomb on it and some guns. They came in and talked to the teacher briefly, then he started setting up in the room, and then I remember the principal went to all the other classrooms and brought them into the one classroom. I think at first, as a little kid, it was confusing, we didn’t know what was going on. When the older kids came in they did realize what was going on and appeared upset. I do remember at one point I was crying and felt confused and someone tried to help comfort me. I remember different little things, I remember the taped square in the room with the desk in the middle of it, I remember the little water fountain in the classroom and I remember everybody being thirsty. It was hard to get over to the fountain to get a drink, so the teachers ended up filling a mason jar and passing it around for kids to drink out of. I was there with my sister, she was in kindergarten. I remember at the actual time when the bomb went off we were sitting towards the front of the room by the chalkboard. My sister and I were coloring from there though, (paused), I actually don't remember the initial blast. I really have tried to remember. 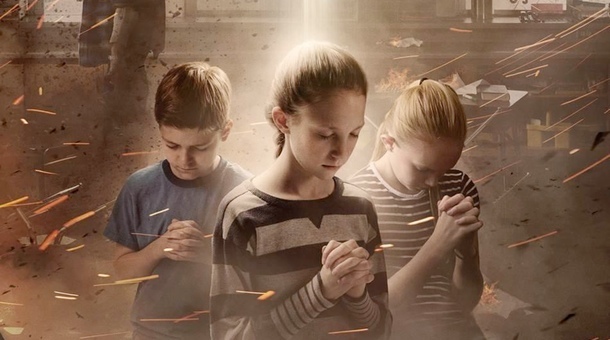 As I have now watched the movie, “Cokeville Miracle,” and talked about it all, I have found I still can't remember the initial blast. I do remember it was a calm, peaceful building and then the next thing I remember is that I had been moved more towards the door, but I don't know how I got there. I was trying to get out the door of the classroom, I remember as I was trying to get out the door I felt someone touch my head, and at that time I thought it was the Second Grade teacher, because everything was dark and I couldn't see who it was, but I was thinking in my head, I am a First Grader and she is counting me as a Second Grader and so now someone's not going to get counted for. So, I panicked a little and I turned back and everything was black with smoke except that masking tape square in the middle of the room, it was in flames. At that point I just turned back and walked out the door, ran down the hallway and to the outside doors, and my grandmother was out there by the building, and I found her right away. She told me to wait right where we were while she went to go find my sister and cousin. She went to go look for them and I remember sitting there at that point and I looked down at my hands and I had blisters on each one of my five fingers! I started to panic, and all I thought was, “My hands, My hands!” My grandmother came back out with my sister and cousin and I started yelling again about my hands, my grandmother just calmly told me to get it together and that I was going to be fine. She then drove us to our parents. Looking back now, I really believe there were guardians there to make sure we were each accounted for and made it out. SR: Where were your parents? JD: Actually my dad worked for the railroad and was thirty-two miles away and mom was at home with my little brother and he was napping, so I guess it was grandma who was the one available to come and get us. SR: Did you actually ever see either of the people who came in that day to your school with the bomb and guns? JD: We were pretty much kept separate from them. The man stayed back away from everybody, until he was set up in that middle taped square, but he didn’t really socialize with anyone. SR: Did you witness what transpired towards the end then when the bomb exploded? JD: That is something I really just don’t remember. I don’t know if Post Traumatic Stress blocks that in my brain, I do remember coloring. I know we went back after with my grandmother and parents and walked through the room. I remember seeing the black walls and the burned carpet. I remember seeing the crayons melted into the floor, like I can still see the image of that room of the aftermath, but I can't remember what transpired right before the blast. SR: Do you remember feeling the heat? JD: No. I know other than my fingers having blisters, my feet were burned too, and my left eye was swollen shut. I know as I left the classroom I wasn’t feeling panicked I ran a bit down the hall, then walked, then ran again until I got outside and it seemed very calm. I don’t think I really realized anything until I sat down and saw the blisters on my fingers. SR: Jennifer as I was reading the press release about the film, “Cokeville Miracle,” some of the kids had said they had seen angels or some form of comfort. JD: I don't really remember seeing anything. I just remember being 'counted' on top of my head as I walked out of the room. SR: Would you say that others that go through things like this, even children, suffer Post Traumatic Stress Syndrome, much the same a way a solider might? JD: Yes, I think so. There are certain things that our triggers. Living now in the area we do there have been certain times during the day where blasting can be heard. I am always fine when they do it during the day, but I did notice after it happened several days in a row it began to really bother me. I didn’t sleep well, I was having nightmares, and it took me a minute to focus my brain and realize I was having I reaction to what had occurred a long time ago. There are certain things in everyday life where it’ll come up. Id say it is very much like traumatic stress. SR: As you've grown into adulthood, has it strengthened your faith? JD: Yes, it certainly has I would say. Everyday is a blessing, and I would say I am a survivor. I pray and have faith that everything has a greater plan so we can fulfill that plan. SR: You have children now yourself, how has this event affected you as a mother? JD: I love all of my children so much. I would say when my first ones were very little I was over protective. I recall when my oldest was very young and in elementary school I received a phone call saying the school was in 'lock down,' I definitely had a bit of a panic as I didn’t know what that meant. I called the school and asked them to tell me very slowly what that means, they explained that when something in the vicinity might be going on that they do a lock down so know one can go in or out of the building during that time. It was a safety precaution. I try though not to be overprotective, but at the same time I teach them to be cautious. I think though that things like this carry on with you. Its like when I go to a mall, or I am out eating I will think about; okay if someone came in with guns where would I go, what would I do. I think through an escape plan (laughed) that’s when I think, normal people don’t do this! I know it hasn't stopped me from living life. You have to have faith, you have to live and learn. Keep living your life. SR: I find it interesting that this incident occurred back in 1986 and is now been released as a movie, by American Filmmaker, T.C. Christensen. How do you feel about it? JD: I recall over a year ago when T.C. Christensen was going to be making this incident into a movie he was real sensitive to all of those who were involved and spoke to them, there were meetings and such. Why now? I don't know. I know several people have asked me why in the world I would even go see the movie, why would I want to relive it. I went back and forth about seeing it, my mom did go see it on its release date. I debated with myself for a couple of weeks, for me though, I felt it was part of the healing process and that this story could maybe help others. At a time when the world seems chaotic, maybe its time to help someone. It is hard for us to sometimes understand many things, but life isn’t based on whether you or I understand... it is based on our attitude and actions. We can choose to stay in the middle of (fill in the blank) and allow it to consume us or what can take it, and have it help propel us forward for the better.